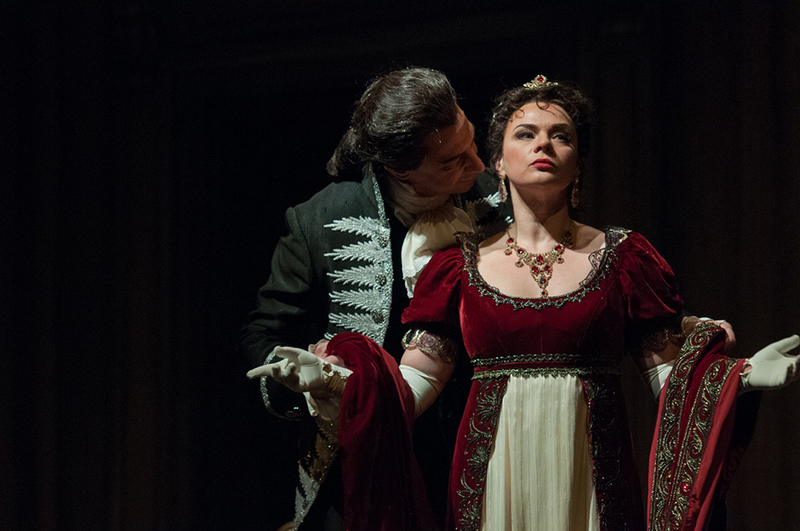 Learn about the makeup and costumes from Seattle Opera's 2015 production of Tosca. 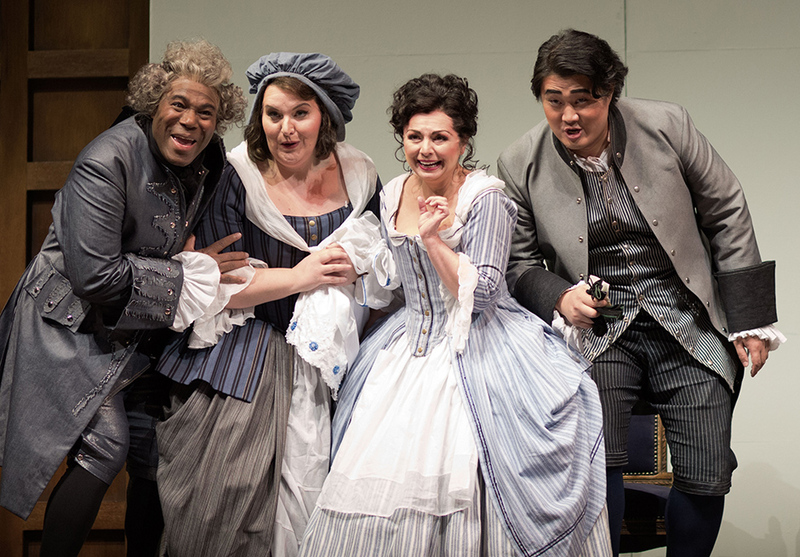 Discover the unconventional fabric used for the costumes from Seattle Opera's 2016 production of The Marriage of Figaro. The sky’s the limit when an opera takes place on Mount Olympus, home of the gods. In Handel’s Semele, king of the gods Jupiter has chosen beautiful mortal woman Semele to be his lover, much to the displeasure of his goddess wife Juno. When Juno seeks the help of sleep god Somnus, he refuses until Juno conjures the nymph of his dreams: Pasithea, a fanciful character inspired by Boticelli’s famous painting “The Birth of Venus” and played by a dancer. In the hands of a talented designer like Vita Tzykun, even a nearly 300-year-old Baroque opera can feel fresh and exciting. Elaborate costumes aren’t just for the ladies of opera! Some male characters have outfits that are just as fun and memorable as any gown. Take The Magic Flute’s Papageno, for example. He’s a bachelor and a bird-catcher, a trade that requires camouflage and trap-setting, and over time he has started to look a lot like the creatures he’s trying to ensnare. 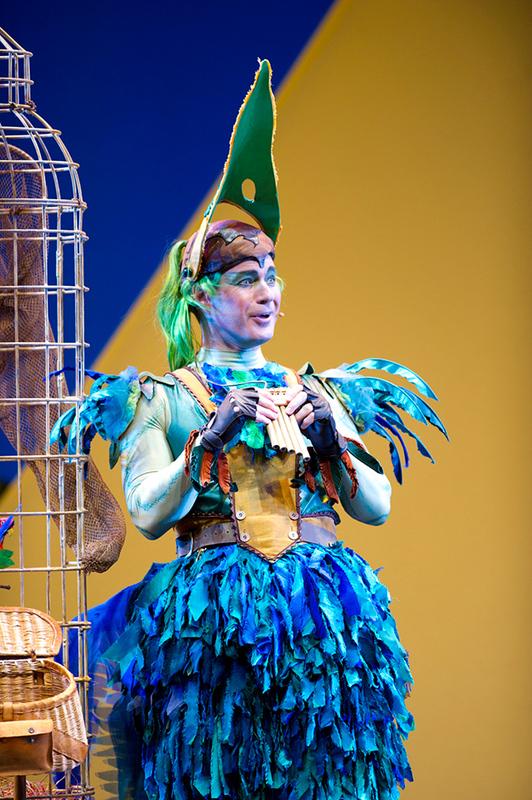 At Seattle Opera, a whimsical green and blue feathered ensemble from designer Zandra Rhodes ensures that Papageno is instantly recognizable as soon as he steps onto the stage. 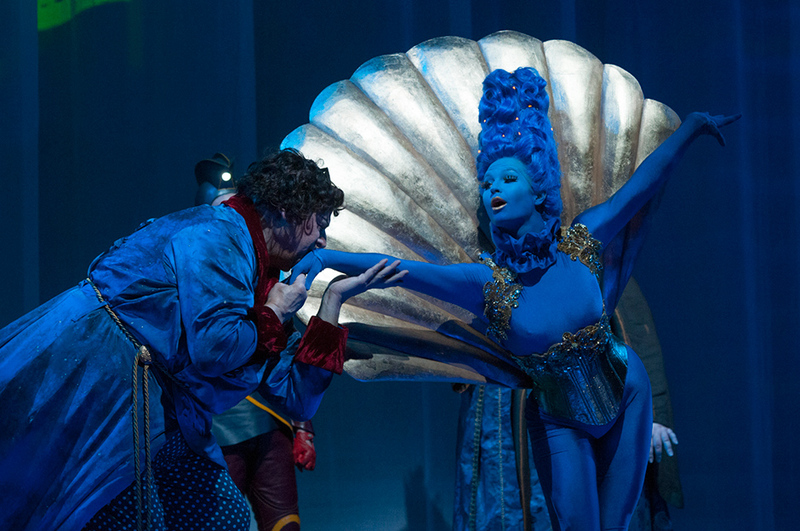 This production of The Magic Flute returns to Seattle Opera in May 2017. Ready to experience a night of spectacular costumes and epic music for yourself? Explore our 2016/17 season to choose from over-the-top comedy, passion-fueled tragedy, colorful fantasy, and more.